IT'S 2015! I can not wrap my head around the fact that it's now 2015..... where has the year gone?! 2014 was good to me and it was an amazing year all around. One of the best things was starting up my blog in March. After years of waiting I bit the bullet and decided to launch she is little she is fierce! It's been one of the best experiences of my life! I've learned so much from it and am constantly learning about all things blogging. Like my personal goals which you can read here, I've decided on 4 blog goals for this new year. These goals are oriented around creating the best blogging experience for you guys, my awesome readers and followers! 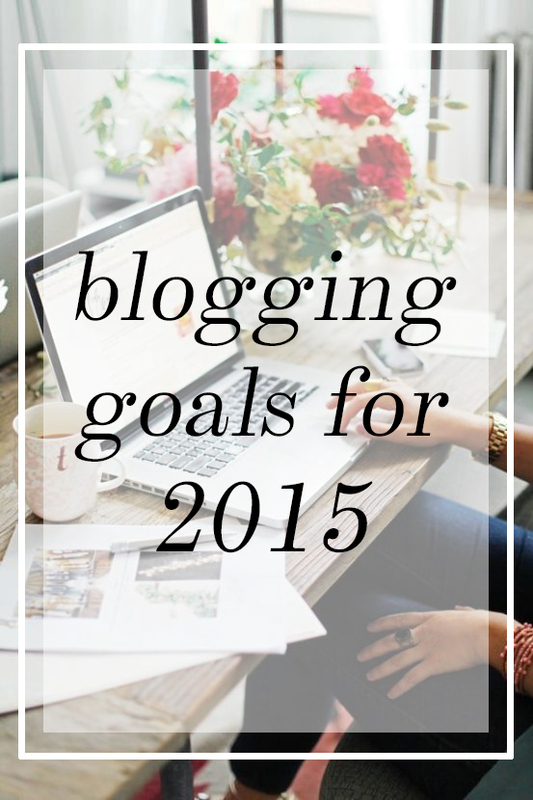 So without further adieu here are my blog goals for 2015! No. 1: Content// I want to create the best possible content for all my readers. I feel like my content currently isn't bad but isn't great. I want to bring more fashion posts, more DIYs, more home and lifestyle, more of everything! I want my content to be helpful, to inspire, something people can use in their lives. What new content do you guys want to see? No. 2: Growth// I know you're not suppose to focus on how big or how many followers your blog has but let's be real, if you're a blogger it's always on the back of your mind. This year I really want to grow my blog. One is the number of people reading it and the blog itself. My blog is still a baby and has a lot of growing up to do. I want to really grow and expand it and create something inspiring and just plain awesome. No. 3: Quality// This goes hand in hand with content. I really want my content and posts to be top notch. I really want to focus on quality, not quantity. I'd rather publish 2 really grade A posts than 5 so-so, mediocre ones. Like content, my quality of posts isn't great but isn't terrible. I really want to focus on creating quality content that's inspiring and thought provoking. No. 4: Branding// I haven't quite found my blogging identity yet and I want 2015 to be all about creating/finding my brand. To really find my voice in what I want to put out in the blogosphere. I know that it's a super important step to creating a quality blog! I'm slowly but surely finding out what my style and what direction I want my blog to go! I've signed up for 2 blog workshops and I'm beyond excited for both! The first is by Whitney of Heart and Arrow Designs! She's hosting her first ever set of classes and I'm taking the "Create a Beautiful and Branded Instagram" class! I love her work and she's one of my blog inspirations/role models and I can't wait to learn more about branding and creating the "perfect Insta"! Check out her classes and don't forget to check out her personal blog, Instagram, website and Etsy shop! The second is through one of my favorite fashion blogs, La Petite Fashionista. She's one of my favorite bloggers too! She's hosting her "Social Media with Style" workshop! It's a 4 week course which will teach you the how to create the best blogging experience. It pretty much covers every one of my blog goals and I can't wait to start learning! Check out the workshop, her personal blog, Instagram and her website!